This large, solid wooden greenhouse is perfect for extending your growing season and protecting your plants. Flowers in it can enjoy sunbathing and grow healthy in cloudy, in snowy or in other conditions. Feature with solid fir wood frame, the greenhouse is durable and sturdy. Feature with double box, allowing you to plant many your favorite plants in all season. 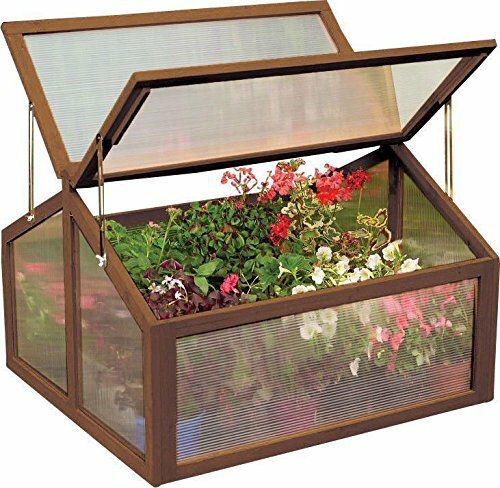 Perfect size for the mini greenhouse, you can put it in your backyard, garden, yard and other living space. It will be a functional greenhouse for your planter, but also a great additional to your outdoor living space. Do not hesitate to buy one! If you have any questions about this product by Riacenst, contact us by completing and submitting the form below. If you are looking for a specif part number, please include it with your message.